All Matthew Harvey wanted to do was take his 3-year-old daughter on a special trip to Disneyland in California. However, the Canadian man’s hopes have been dashed after he was reportedly banned from the U.S. for life. According to Canadian media outlet CBC, the ban had nothing to do with a prior criminal record. He hadn’t been trying to smuggle drugs – or anything else – into the country. Instead, he honestly answered a question posed by the U.S. Customs and Border Protection Service: Have you ever used marijuana? He’s a legal medical marijuana patient in Canada. In 2014, he was driving from Vancouver to Seattle, WA, where marijuana is legal both for recreational and medicinal purposes. He had been stopped and questioned by federal border patrol agents for six hours after they spotted a marijuana magazine in his car. During his detention, he was repeatedly questioned about his marijuana use. He did not think to lie, considering Washington state’s policy on the drug and the fact that he legally uses the drug in his home country. He conceded that for a time before he became a legal medical marijuana patient, he’d smoked the drug on occasion recreationally – before Canada had a legal marijuana program. This apparently was enough to trigger the ban. And of course, while Washington state allows visitors and residents alike to purchase, possess and privately use the drug (with some restrictions), marijuana is still illegal under federal law. And federal law is what governs the U.S. Customs and Border Patrol. Although he wasn’t carrying any marijuana with him when he tried to cross the border, he can still be denied access because, U.S. law states that any foreign national who admits to violating his or her country’s own controlled substance laws at some point previously can be deemed ineligible for admission into the U.S.
Harvey now says he wished he simply would have lied and avoided the trouble. And in all likelihood, that’s what’s going to happen in the future for others. 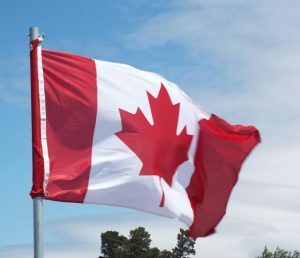 In Canada, marijuana has been legal as medicine since 2001, following a Canadian Court of Appeal ruling that declared medical marijuana prohibition unconstitutional. In recent years, Canadian Prime Minister Justin Trudeau and his Liberal Party have pledged support to legalization of marijuana for recreational purposes, arguing criminal drug sanctions are ineffective and it will be easier to keep the drug out of children’s hands if it’s tightly regulated by the government. Unfortunately, Harvey isn’t the only Canadian citizen who has had to grapple with U.S. entry issues after admitting marijuana use. Immigration lawyers say dozens of cases crop up every month. Generally, those crossing the U.S./ Canada border aren’t questioned about their prior drug use, but border patrol officers can use their discretion. Those who have been denied access to the U.S. based on past criminal conduct can still in some cases enter, but they have to apply for an advanced permission permit, which costs $585 and has to be renewed every few years. Interestingly, other types of criminal actions – such as a DUI conviction – won’t prohibit entry. Meanwhile, people can be denied entry not for current use of the drug, but for years-ago unlawful use.